Take advantage of the latest advances in diabetes technology! Insulin pumps and continuous glucose monitors (CGMs) can help you nearly match the way your body releases insulin. Learning to use these devices can improve how you manage your diabetes and enhance your everyday blood glucose control. 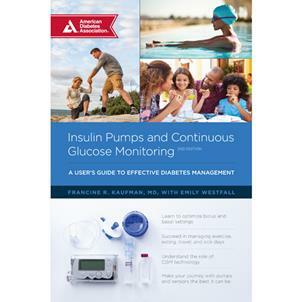 In this revised edition of Insulin Pumps and Continuous Glucose Monitoring, Dr. Francine R. Kaufman and coauthor Emily Westfall give you practical advice and important information on the basics of daily insulin pump use. From setting bolus and basal rates, to managing exercise, eating, and travel days, to understanding the role of CGM technology, Insulin Pumps and Continuous Glucose Monitoring gives you comprehensive guidelines on incorporating CGM into your life. When combined, these devices are a powerful tool in diabetes management, allowing you to manage glucose levels on the go.